It’s SF season here at the moment, we Elite out a couple of weeks back and Empires next month and a proposal in the works for something with another SF bent. Edits for all of next year’s titles are now done all bar the shouting and a bit of polishing. Anyway, none of you came here to hear about that, so on to business. Since Empires is coming out next month, it’s probably about time I started giving away a lot of Gavin Smith SF again (we wrote Empires together), on account of the imagined loss of sales annoying him greatly. This week I have two copies of War In Heaven for the taking. Usual deal – comment on this post before November 2nd and I’ll randomly select two lucky victims for free copies. This week we’re playing Bad Alien Invasion Supermarket, so you need your comment to come up with something to do with bad alien invasions, by which I mean stupid stuff that make no sense which one might encounter in bad alien invasion stories, and the comments have to be in alphabetical order. So for example, A is for Androids with Off Buttons, B is for Bloody Hell, Lasers Are Not Visible In A Vacuum, etc… You get the picture. You can stretch the the alphabetical point as far as it will go, but if you don’t play the game, your entry is VOID. HAHAHAHAHAAAAA. You can enter as may times as you like but I’ll count the first two entries – the rest are just for fun and showing off. Extra points for humour and originality and just for once I’ll throw in an Angry Dragons mug if you make me laugh, smirk or otherwise amuse me. When a routine bit of piracy goes wrong, the crew of the Song of Stone realise that there’s a bounty hunter on their tail. One who might, finally, be able to outclass them. The Dragon Queen is feared across space, and for good reason. But even the bounty hunter doesn’t realise what she’s been hired to do. Or what is in the container she’s been sent to retrieve. I’ve spent the last few weeks now wrapped up in edits to The Silver Kings, last of the dragon series, and a couple of Nathan Hawke shorts which have now both been through editing. This week sees the hardback publication of Elite: Wanted, a story of spaceships and pirates and bounty hunters co-written with illustrious SF author Gavin Smith (hence the rather unsubtle nom-de-plume), and so this week I’m giving away a copy dedicated however the lucky winner desires. All you have to do to enter the giveaway is comment on this post before the end of October 19th and I’ll randomly select a lucky victim (the usual deal if you’ve been here before). One of the fun things about writng SF like this is naming spaceships, so if you have a favourite spaceship name I’d love to hear about it, but a simple “hi” will do. This is open worldwide. Although though no one has yet complained about how long it takes me to get to the post office and post things, it can take a while and if you live abroad then it can take even longer. Sorry about that, but they do get there eventually. I am currently up to date with posting things. 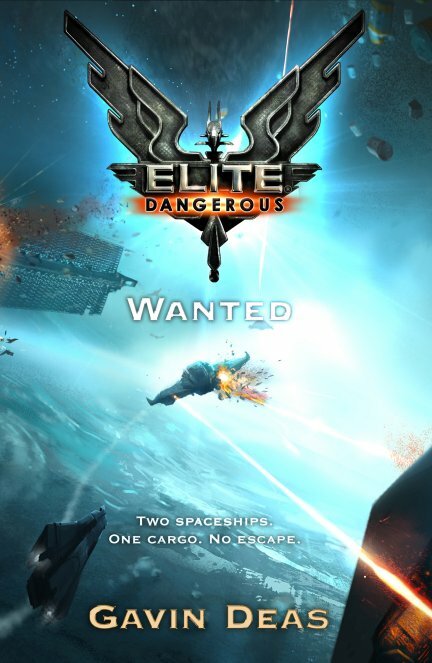 No giveaway this week, but I’ll make up for it next week with two copies of Elite: Wanted. In the meantime, here’s where things are at. For new fans of William Falkland – I’m expecting the edits for his second outing imminently, and you’llbe seeing him again next summer. For dragon fans – the edits to The Silver Kings are a little over half done and you’ll be seeing Zafir and the dragons again next summer too. I’m reasonably content that this is going to be a fitting end to the series, possibly the best book of the sequence or at least on a par with Dragon Queen. For Gallow fans – I’m contracted to write three 10k(ish) short stories for Gollancz. The first, The Anvil, is now post-edit. The second, Solace, is with my editor. The third. . . exists as a vague idea in my head. I don’t have dates for these. There’s an omnibus edition of the first trilogy available as an e-book and, allegedly, as a paper book too soon, but I don’thave a date for that either. The omnibus does include some bonus material not in the original novels. For Bulldog Drummond fans, the second novella is withe the publishers with all my work done. The third, The Jaguar Mask, is in for edit. Back again in a week.